January brings many things, colder weather, credit card bills, and the Sales. That’s right, sale season is well and truly in full swing and there are some absolute steals to be had. 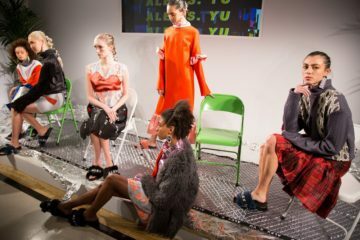 However, there is no need to go into full supermarket sweep mode, there is a chance to pick some considered style staples for less. We love seeing something that we loved at full price, but now with a seasonal discount on top of it. One place that we always love to browse is Whistles. 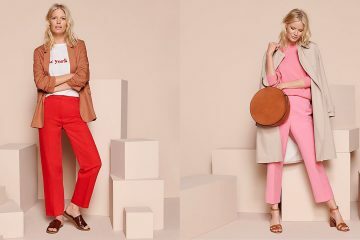 They have a super sale right now, with some sartorial dreams waiting to be added to your basket. 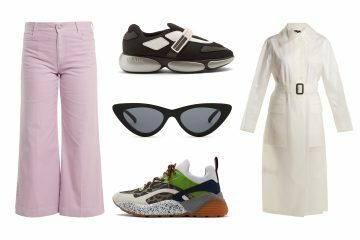 Keep reading to see the 10 pieces we need that we have spotted in the Whistles outlet. If we have told you once, we have told you 1000 times; Animal Print is going NOWHERE. 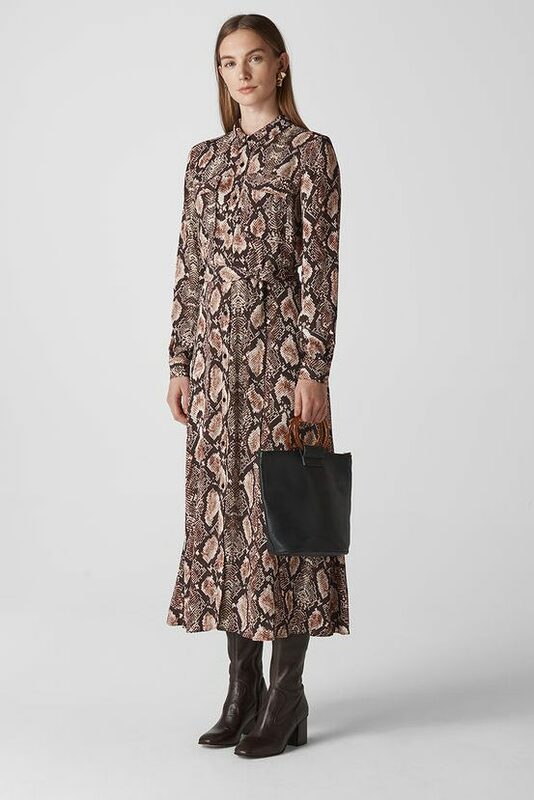 Snake print is a great alternative to Leopard and adds a chic injection to any look. We love the bold pattern, mixed with this easy day dress. This would be great for layering right now and then will work well into spring. 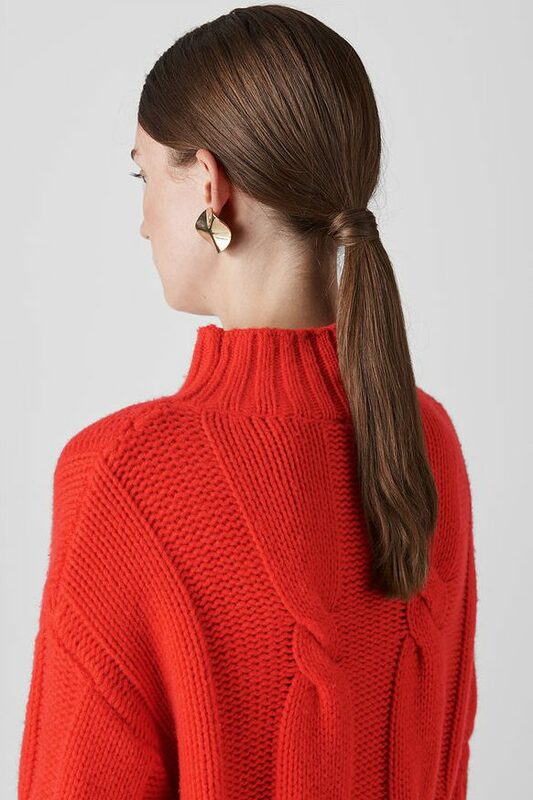 Chenille is a knitwear trend that has bubbled away gently this season. We love the chunky feel, but it is very light so is great for layering making it very versatile. We have picked this lovely spring lavender shade that will add colour to the early grey months of 2019. 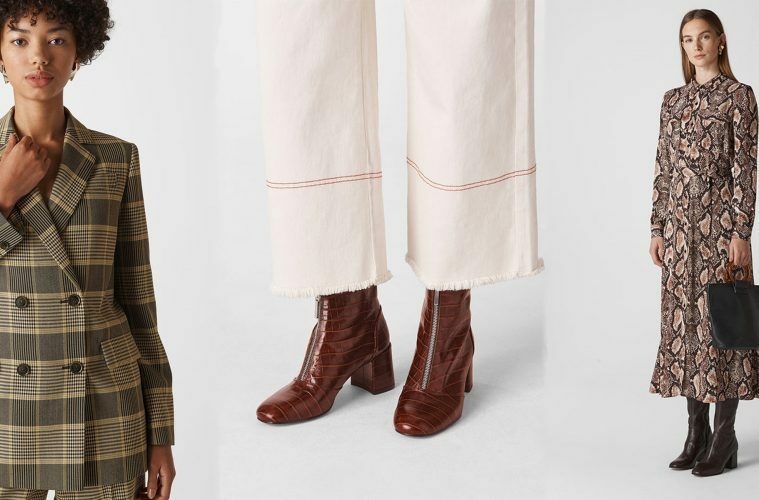 The menswear-inspired tailoring trend is also not going anywhere this year. 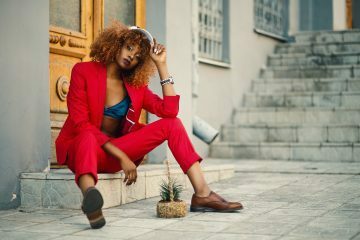 It is very possible to get tailored pieces in cheaper stores, but it is not really worth it. 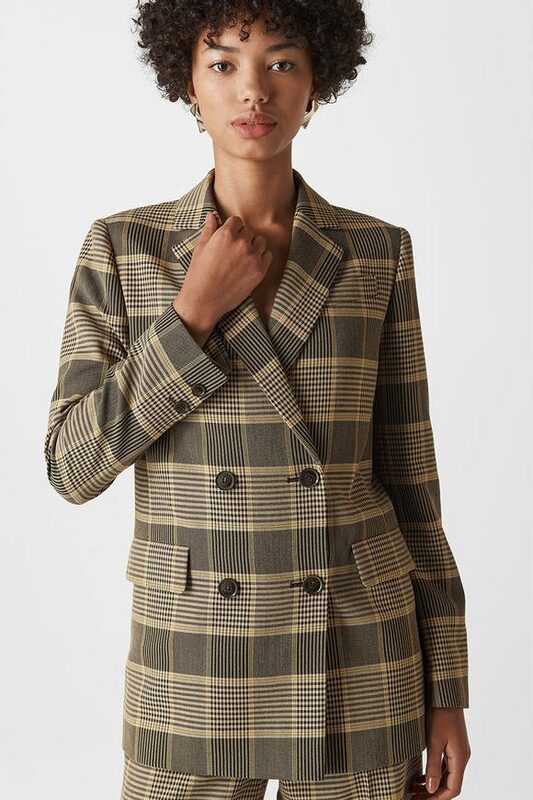 Quality is where it is at, and Whistles provides that aplenty in this checked blazer. Our feet still hurt from the super high heels of New Year’s Eve. 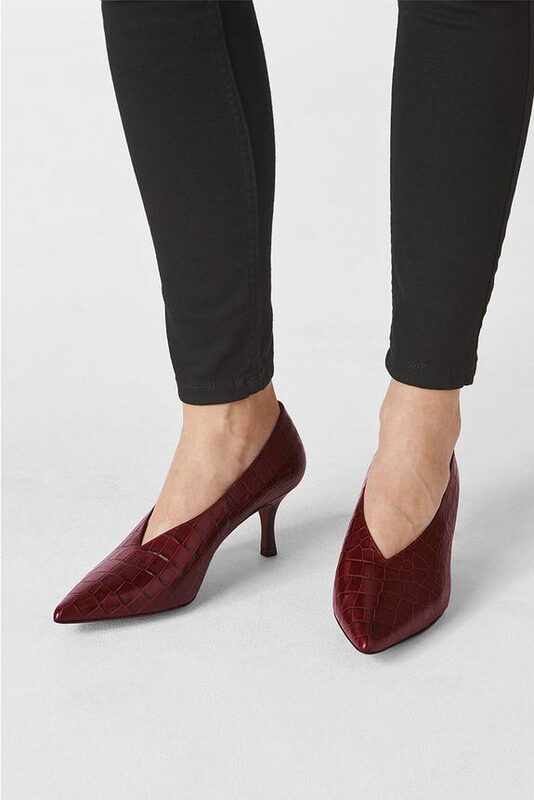 So next time we need a formal shoe, we are heading straight to these statement kitten heels. Not only are they serving serious style, but your arches will rejoice in this cute lower style. 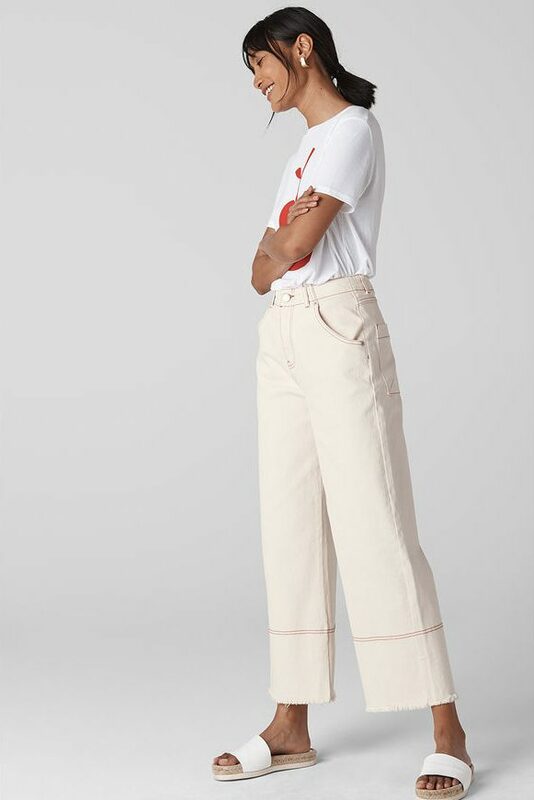 We have it on good authority, that cream wide leg jeans are the denim piece of 2019, aka our fashion editor is OBSESSED with them. These are a breath of fresh air, light in colour and a joy to wear. Warning excessive wide leg jean wearing will cause all skinny jeans to feel horrific. 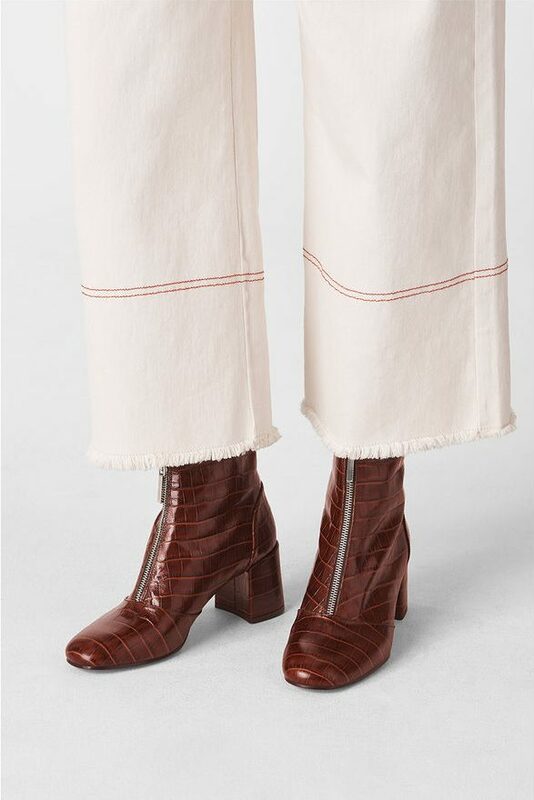 All jokes aside these a really fresh take on jeans for 2019, at a budget-friendly price. 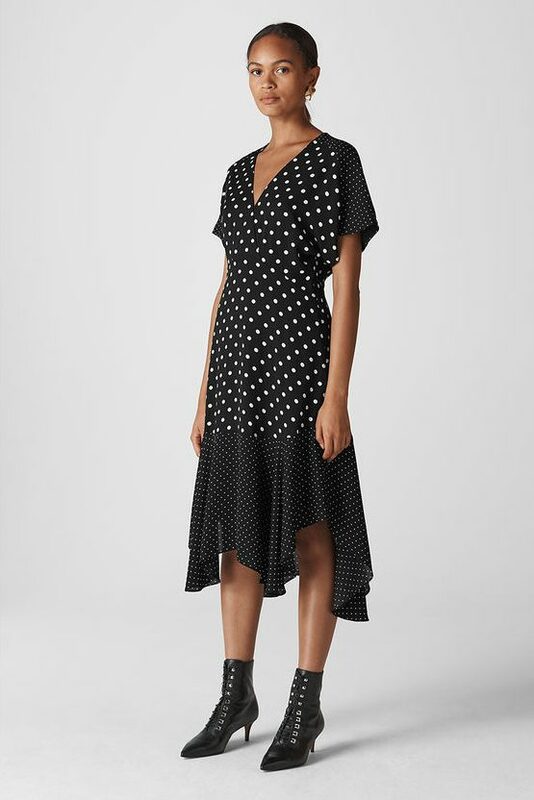 Polka Dots have been on the trending list all 2018, and this is no different going into 2019. We love how easy to wear this dress looks, breezing us into a fresh year of style. Those who are Whistles fans will know that these clutches are a main collection item. What better way to grab a Whistles staple than in the sale. 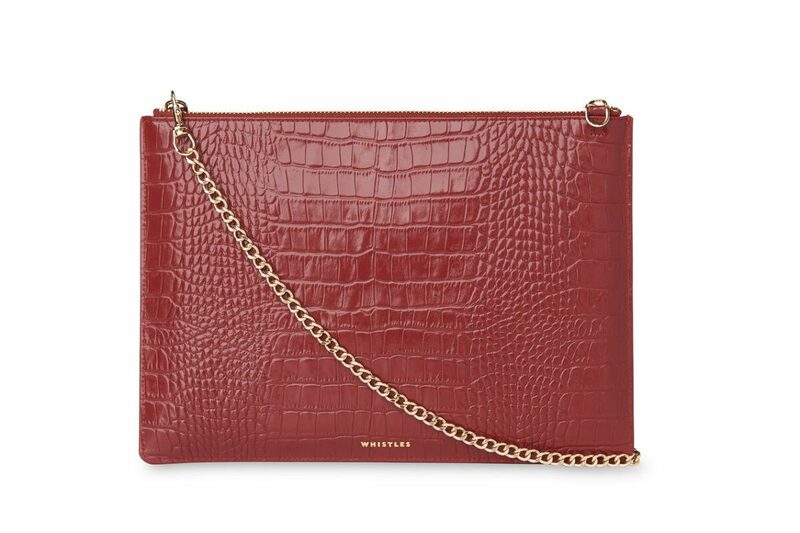 We love the mock croc style which gives us a luxury look for less. Cashmere should be a must have in everyone’s wardrobe. 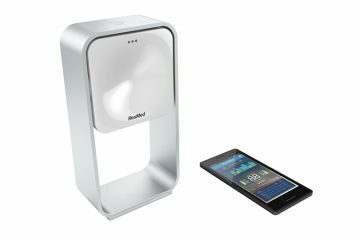 We consider it to be a luxe essential, well worth the investment. 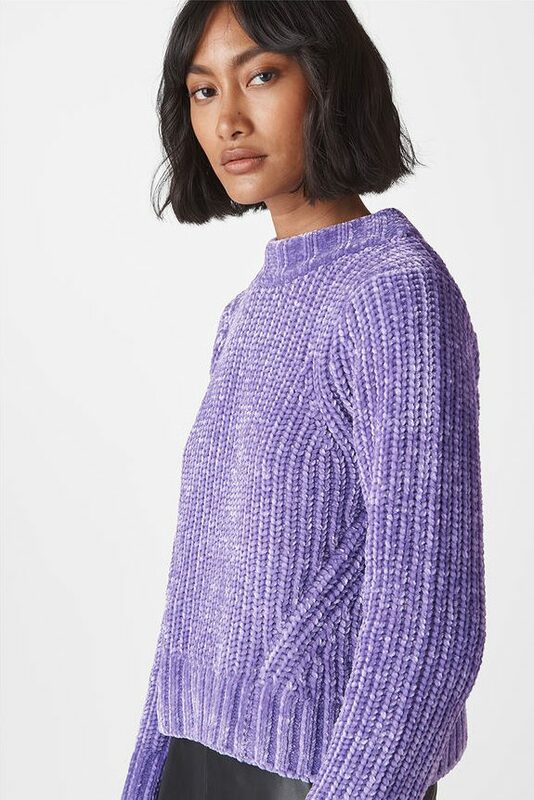 We love this thicker cable-knit number that would add class to any look, and also be super soft. Why have one coat when you can have 2 or 3? The sales are THE place to get the coat you loved for less. You can half your budget, or spend the same and improve the quality of the piece you purchase. We love this belted wool number, which for less than £140 has 50% wool content- making it incredibly good value. 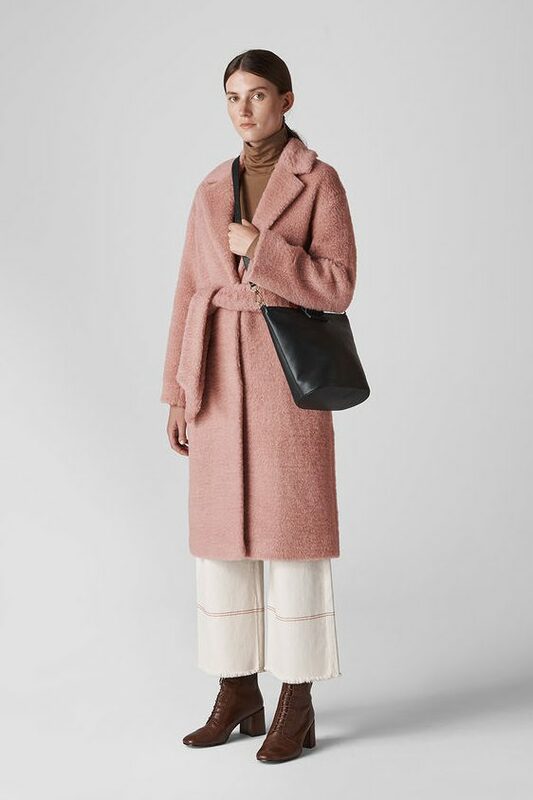 Also, it is a great silhouette of coat and is also available in camel. Boots are a winter staple, and we have worn ours over and over. Why not freshen up your footwear options, with these chic brown options from Whistles? The fact that they are not black means that they will shake up any look you pair them with.